Painted warp using fiber reactive dyes. 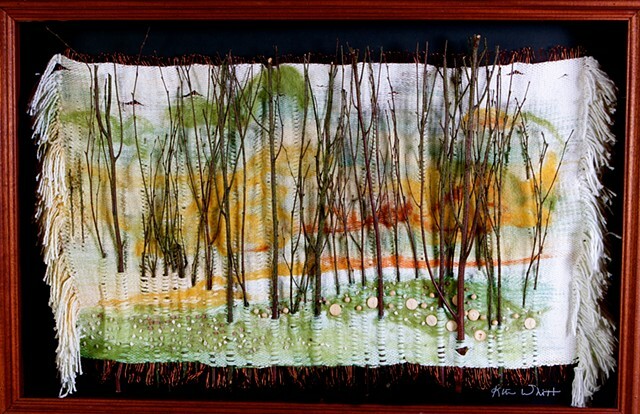 Loom woven with copper wire, cotton, Spanish moss and river birch. Hand embroidered, needle felted and sewn.